Below are the same responses from every member of a class to the same question. What seem to be the most common issues? If you graded these quizzes on Sunday, what would Monday’s lesson plan look like? 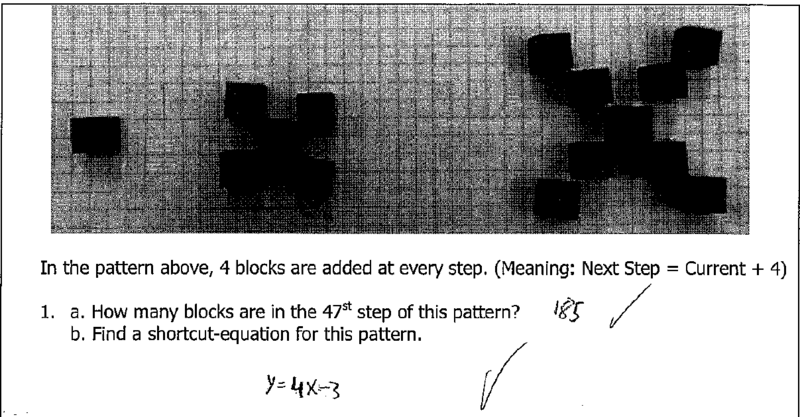 Posted in Class Set, Creating Equations*, High School: Modeling, linear functions.